With Bob’s frame and fork complete, it’s time to put it all together with a Shimano Dura-Ace DI 2 drivetrain and Dura-Ace brakes and levers. Adam Kerr, one of our builders, also works as the stud mechankc at one of our area bike shops, Antioch Schwinn Cyclery, where be brought it in for assembly. 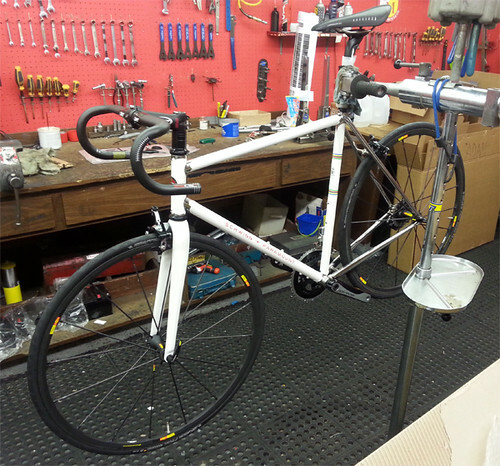 Here’s Bob’s bike, just about built, in the workstand. 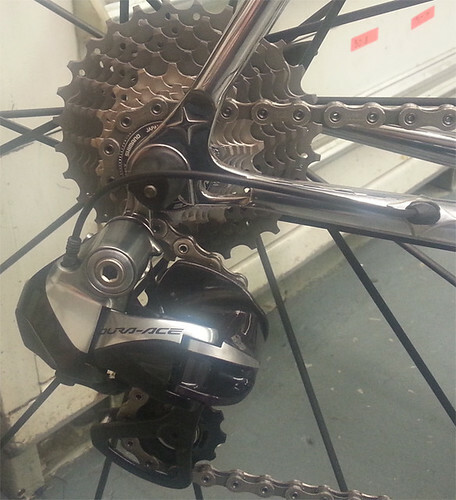 Here’s a close-up of the DI2 rear derailleur. 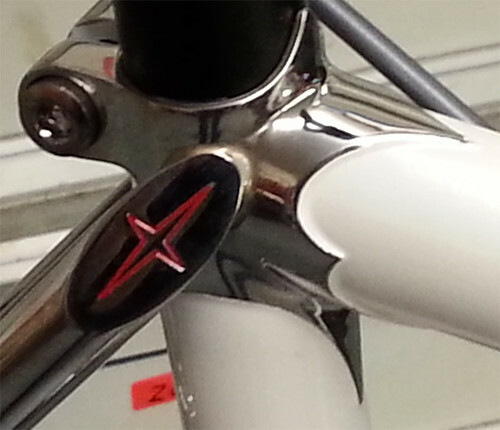 You can see the stainless steel wiring ports coming out of the chainstays. On the dropout, you can see the distinctive Paramount compass points. The Paramount 75th seat cluster includes the flat cap stay tip with Paramount compass points engraved on them. 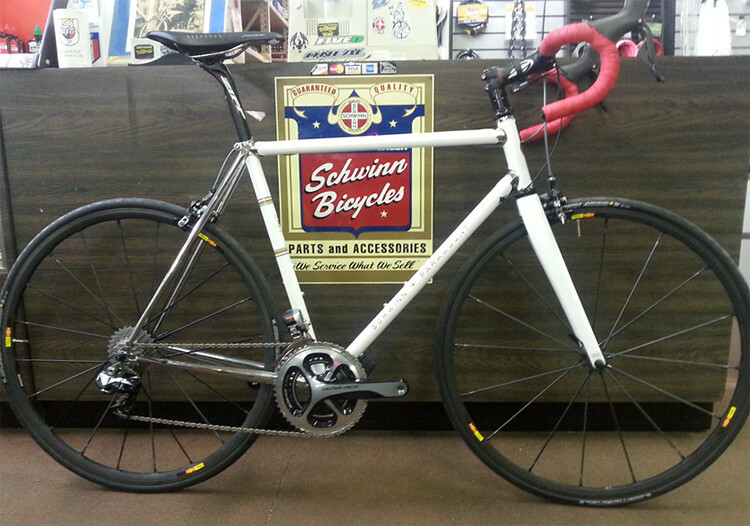 Below is the completed bike, show with pride in the shop.